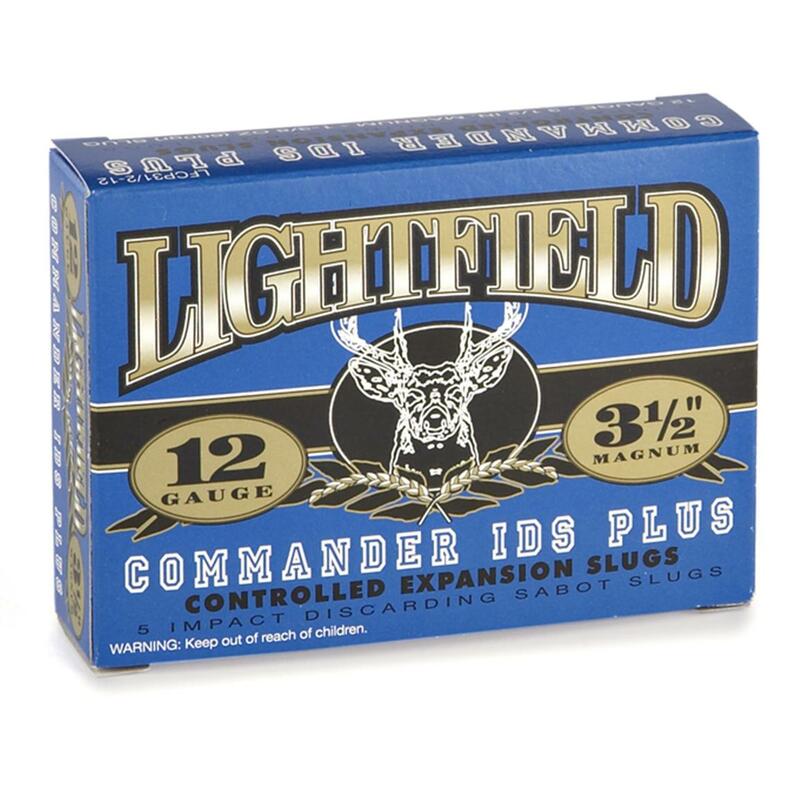 Box of 5 Lightfield® Commander 12 Gauge 3 1/2" 1 3/8-oz. Sabot Slugs. Hard-hitting accurate! 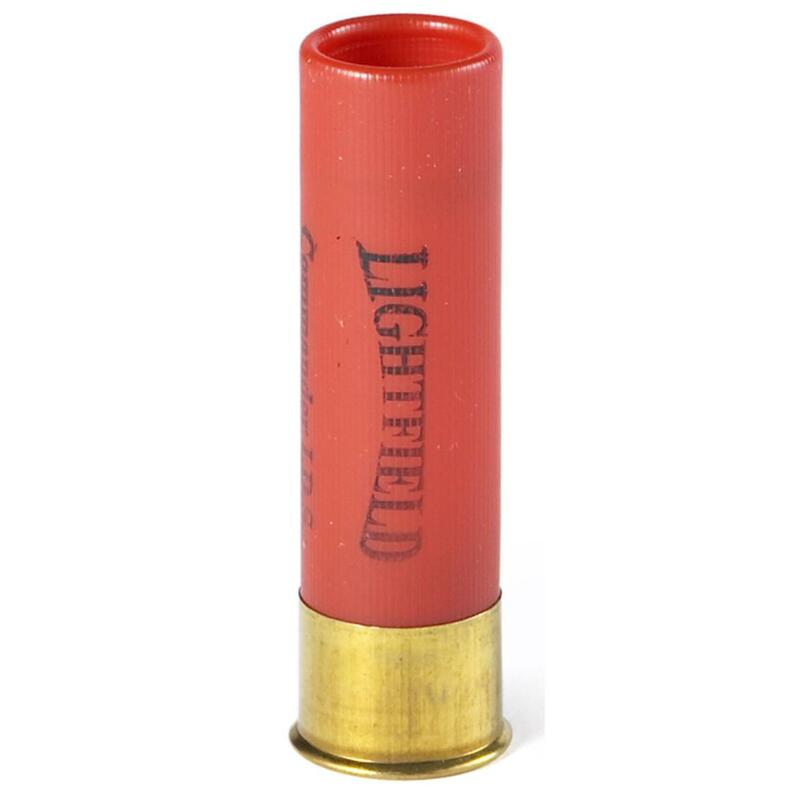 IDS (Impact Discarding Sabot) Ammo from Lightfield® features a lead slug in tandem with a plastic sabot that stabilizes the slug until it finds its mark. Designed for rifled barrels. Muzzle velocity: 1,890 f.p.s. Muzzle energy: 4,759 ft.-lbs. 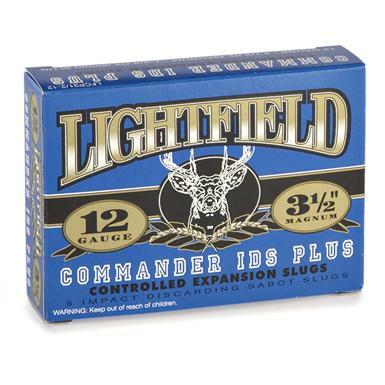 Box of 5 Lightfield Commander 12 Gauge 3 1/2 1 3/8 oz. Sabot Slugs is rated 5.0 out of 5 by 4. Rated 5 out of 5 by GaryR from Unbelievable performance! Fired a box of these at the range yesterday and was VERY IMPRESSED (as were the others present)! The report and muzzle blast are astounding! Kicks about like a .458 Win Mag. I'll definitely be using these in my deer blind this Fall! Takes my Mossberg 835 to a whole new level! Rated 5 out of 5 by Little Milton from Devistating! 4759 ft/lbs @ the muzzle! Recoil is substantial, impact is devastating! I do NOT need a .458 Win mag. Rated 5 out of 5 by LAWRENCE from VERY POWERFUL DEER SLUG ROUND.